The Essence eyeshadow formula has not been my favorite for a long time. I usually enjoy their limited edition palettes, but the palettes they stick in their regular line never appeal much to me. I did not love the All About… palettes like most people as I felt they had an overspray that disappeared after a couple of uses. The newer My Only 1 palette was a complete disaster for me. Will I have more luck with the In Love With Rose eyeshadow box? For the price, this would be exceptionally great if the quality is there too. At just €3.99 this is a cheap and cheerful option. Especially for a 10 pan eyeshadow palette. This palette was released in the Essence Spring/ Summer 2018 collection and will still be around for another season, as it is not being discontinued for the fall/ winter 2018 update. Where to begin with this one? Cheesy? Childish? Take your pick, but I am not a fan. 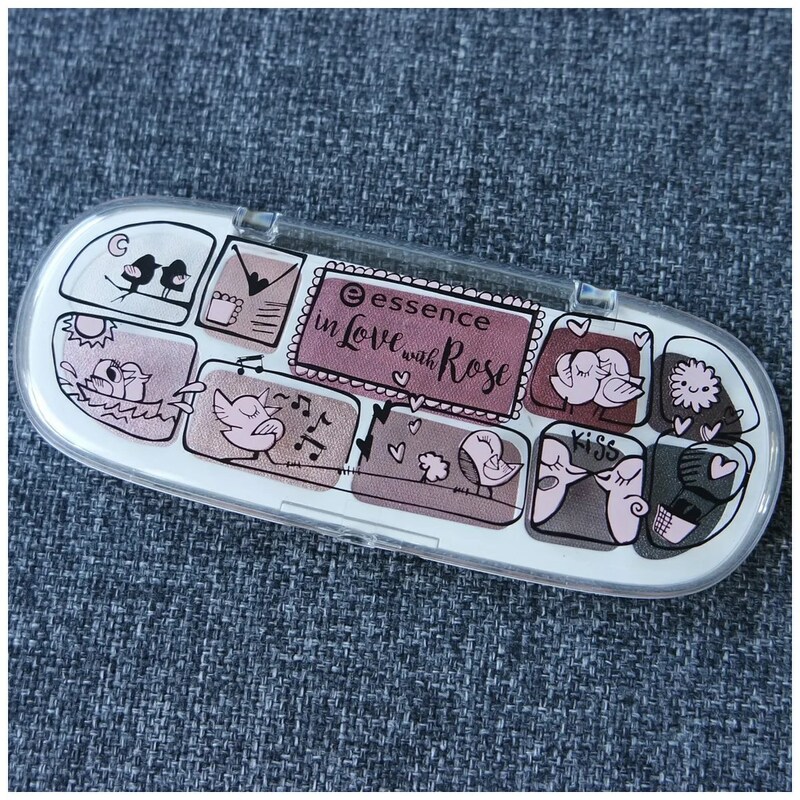 It may be a cheap palette, but if you put cartoon birds on your palette lid with hearts, then it doesn’t really help the look of the palette. The palette is very small and the pans are all in different shapes and sizes. While that looks playful, it does make some pans so small that it is hard to get a brush in there. Thankfully it is eyeshadow and not a blush or something like that. But then you open up the palette and then you get these pretty rosy tones. This is very reminiscent of a palette they released as part of a limited edition collection earlier this year. That was very heavily inspired by Naked 3 and this has shadows in a similar vein. There are 10 shadows, some are matte, some have shimmer. 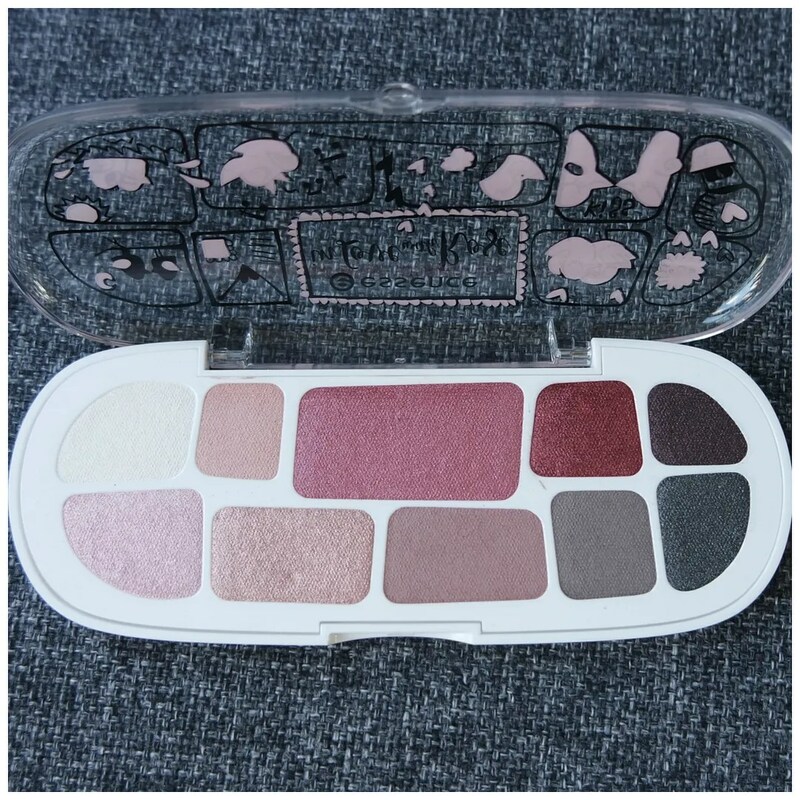 There are 4 truly matte shades in this palette, 2 satins and the other 4 shades are all shimmers. 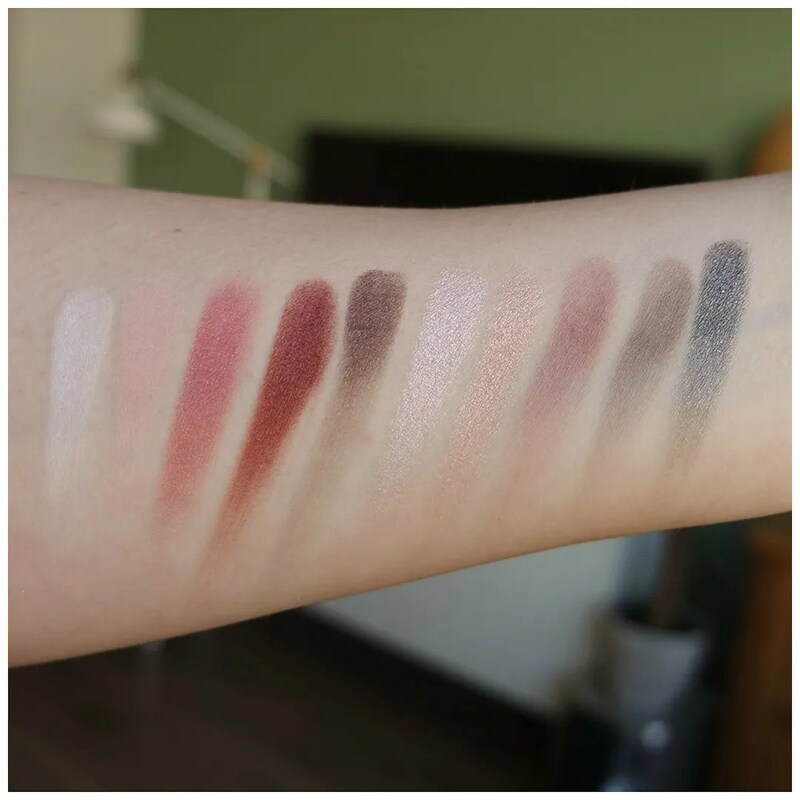 Swatches do not lie and look at these! The two darkest matte shades are a bit weak but everything else looks really nice. The deepest shade looks great and especially that entire top row looks really stunning. There are some good shimmers for the lid that will be very workable and I am itching to use that last shimmery taupe shade on my lower lash line. The formula feels nice and smooth. The texture is mostly soft and a bit powdery but these are not chalky at all. They blend well and stay put all day over an eyeshadow primer. 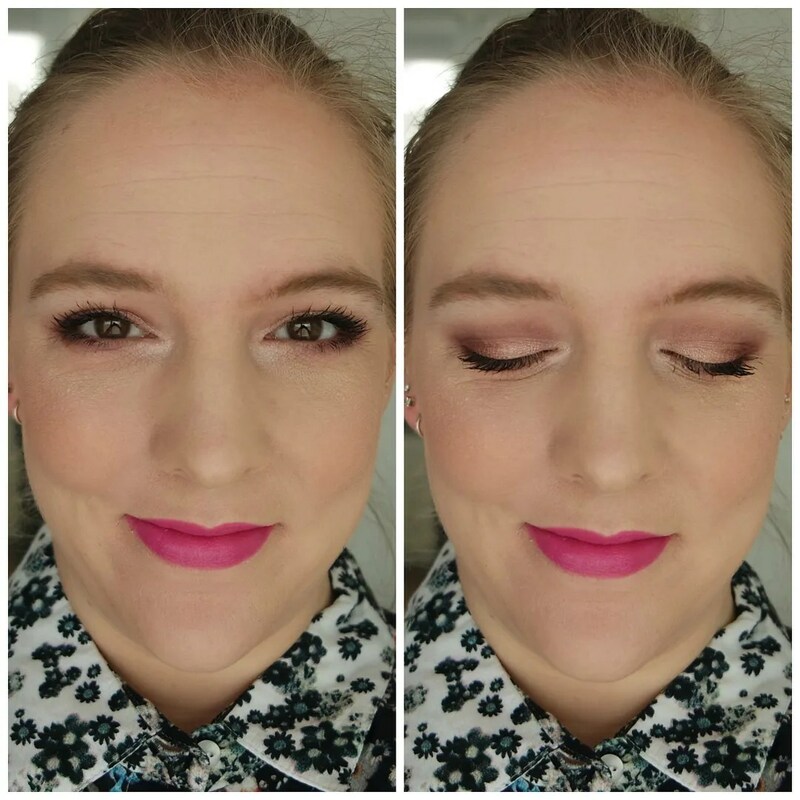 For creating this look, I used nearly all the shadows in the palette. 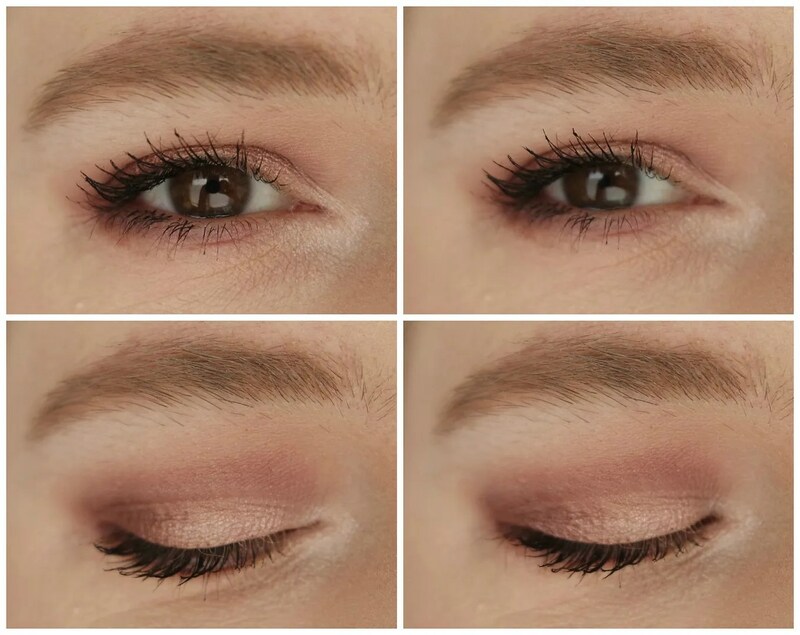 As you can see, what this palette does is create a soft everyday look that is easy to wear. I now get the cutesy lovesick bird print on the frontcover of the palette: this is a very romantic look. Great for date night paired with a bolder lip and great for everday wear paired with something more neutral. For €3.99 I really think is not too shabby. I think that for the price point, the Essence In Love with Rose Eyeshadow Box is a great little palette. The palette has a few flaws, but those are mostly limited to the packaging. When it comes to the eyeshadows themselves, these are some workable, affordable shadows. Is it the most earth shattering palette I have ever tried? No, but if you love a good neutral, you will love this. What do you think of the Essence In Love With Rose palette? Another great review, I always look at this brand but have only tried a few things from them never tried one of their palettes though. They are a bit hit or miss. I tend to prefer their limited edition stuff!